If you haven't figured it out, I'm an InstaGram junkie lately...even my husband comments that I can't put it down. And on InstaGram there have been lots and lots of quilters starting out the New Year making a Scrappy Trip Around the World quilt...simple, colorful, and uses up your scraps/stash...seamed perfect to me. 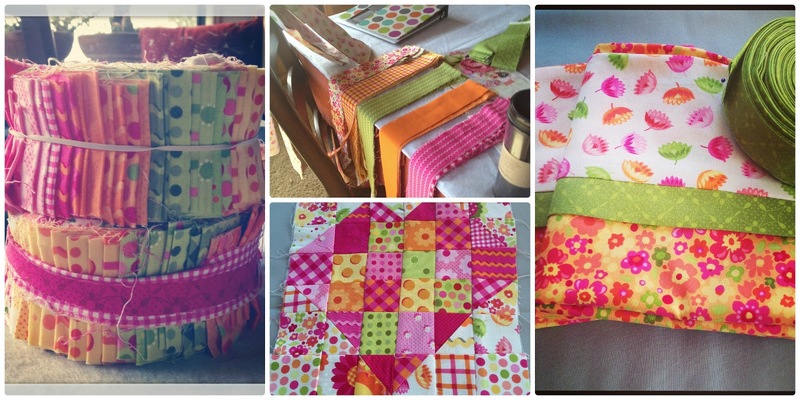 So I went to my stash to pull a few things out...and instead of scraps came out with two old jelly rolls...colorful and bright...just what the cold, rainy days here in Southern California needed. However, there was no backing fabric anywhere near those colors in my stash...nor was there anything close to a binding fabric...those colors were a bit out of my colorway back then. Scoured the internet for a bit provided some yardage, but I will be doing the scrappy back as I only found enough for the binding and two pillowcases with a bit left over for the back. Scrappy Hearts...check! Wait...how did that get in here? Can you say unexpected inspiration? Valentine's Day block + Pellon's Quilter Grid made it easy to put together...thinking either a pincushion or a throw pillow...haven't decided yet. 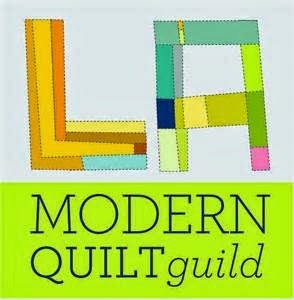 Now that everything's settled I'll start working on the quilt blocks...want to join in? I was thinking, today night be a good day to join you :) I have a box of scraps on my floor and I'm just going to pull from there and go with it! Love your colors! I do and it's first on the list! I'm still staring at my fabric. It was Seattle Seahawks football morning. We lost :( I'm glad you are an IG addict, cause I see you all the time there! Looking forward to seeing your finish. I love that fabric. I love polka dots! I sure wish it wasn't 'old' fabric. Love the colors. I don't have an Iphone but I do have an Ipod. I've got the instagram app and don't know what to do with it. I need to figure it out. Guess I'll add that to my list. Can't wait to see what you have when you're done! I think I am going to have to jump into this project. I too am an IG junkie. I love your trip along; I must do another and make it truly scrappy!